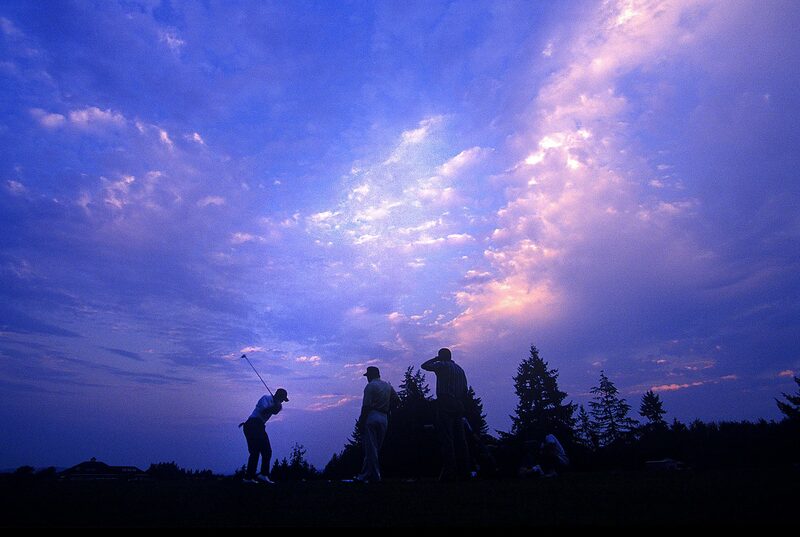 Early morning practice for Tiger Woods (along with coach Butch Harmon and caddie Bryon Bell) at the 1996 U.S. Amateur. Pumpkin Ridge Golf Club, Oregon.